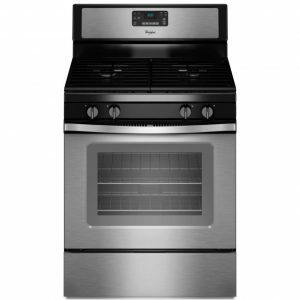 This unique slide-in range from Whirlpool offers a spacious oven, a high-performance cooktop and a convenient storage drawer to bring powerful cooking performance to your home kitchen. 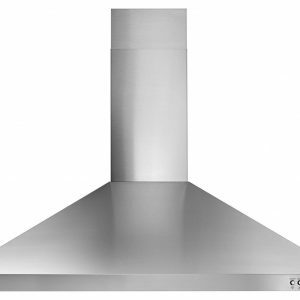 The 5 smoothtop burners offer a combined output of up to 8,600 watts. Individual burner power ranges from 100W to 3,000W, so whether you need a gentle simmer or a rapid boil, you’ll have the perfect level of heat. The unique FlexHeat Triple Radiant Element is like having 3 elements in one. A 6″ inner ring is great for smaller pots and pans, while 9″ and 12″ outer rings make room to heat larger cookware. Plus, the Easy-Wipe Ceramic is a breeze to clean. The spacious 6.4 cu. ft. convection oven cooks foods fast with its special 3rd element, plus a fan to distribute hot air evenly over, under and around food. 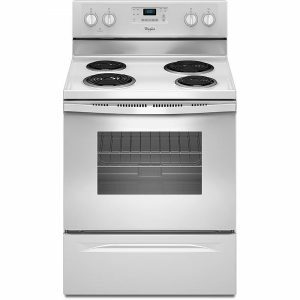 You’re guaranteed evenly-heated food, convection-cooked to perfection. 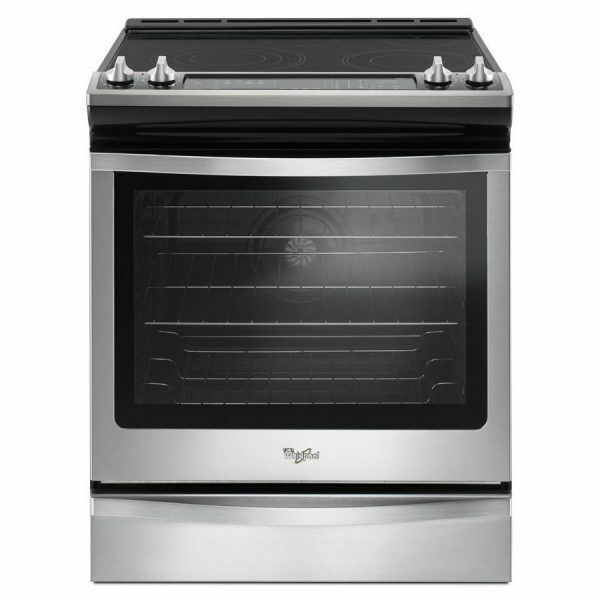 Whirlpool’s Frozen Bake technology cooks frozen foods faster by eliminating the need to preheat the oven. Just select the food type, temperature and cook time listed on the frozen item’s package and the oven will start customizing. Now you can cook frozen pizza 31% faster. Rapid Preheat cuts significant time out of your cooking routine by using all of the elements and a rear fan to heat the oven quickly. When it comes time to clean the interior, get odor-free cleaning without harsh chemicals in only 50 minutes: AquaLift self-cleaning technology uses only water and low heat to help remove baked-on foods from the bottom of the oven. 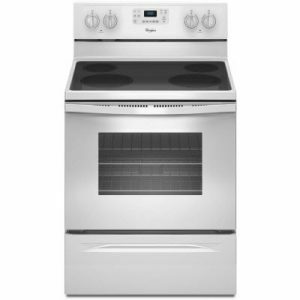 For a powerful slide-in electric range that’s spacious, easy to maintain, and brings a handful of convenience options to your cooking routine, Whirlpool offers this fantastic new selection. Cooks frozen foods faster by eliminating the need to preheat the oven. Just select the food type, temperature and cook time listed on the frozen item’s package and the oven will start customizing. Now you can cook frozen pizza 31% faster, and even lasagna, chicken nuggets, fries and pies can get from the oven to the table in less time. Helps you cook foods faster by using a third element plus a fan to distribute hot air evenly over, under and around food. The FlexHeat triple radiant element is like having three elements in one. A 6″ inner ring is great for smaller pots and pans, while 9″ and 12″ outer rings make room to heat larger cookware.